A few months ago, I noticed my skin was starting to sport moles. I read that moles tend to happen in one’s thirties and thought little of it. Perhaps that “I’m Invincible” feeling was still lingering from my teens. Further research revealed that melanoma is not something to trifle with. It would seem that skin cancer is one of the most treatable cancers if caught early and one of the least treatable if not. I spoke to a couple fortuitously placed church friends and learned that investigating the mole via a “shave biopsy” carried a benefit-to-cost ratio too high to ignore. Man. There’s a word I never wanted to be using in my thirties. Or, y’know, ever. I picked a physician (first doctor’s appointment in years, for which I thank God) who looked at that self-important mole on my front right torso, then the three of various heights and colors chilling on my back, and immediately went “let’s look at that one” while eyeballing the front one. Complicating things was that I was less than a month out from the funding deadline of my Czech Republic mission. The biopsy results became a fork in the road: either they would be normal and I’d pay up and head to Europe, or they wouldn’t be. Whereupon I’d need to give serious consideration to pulling out of the trip, returning the donations, and launching without delay into whatever treatment was needed. Now you know why I didn’t announce my trip as soon or as excitedly as I wanted. I was waiting to see. I went home and over-analyzed, because that’s how I roll. This is no indication of a desire to end my life, but I definitely understand Paul’s weariness (though I haven’t lived his life). I’ve gotten irritated with the things of this world, how they promise life and then either disappoint or, worse, dart away and beckon to me again, letting me chase the illusion. Money, status, other comforts…all like pieces of meat suspended in front of a dog by a fishhook tied to his back. So much of life on this side of the veil is quiet disappointment. I want so badly to see Jesus. I want so badly to shed this evil tent and become the person I’ll be in heaven, never again to prick anyone else with my sharp edges. 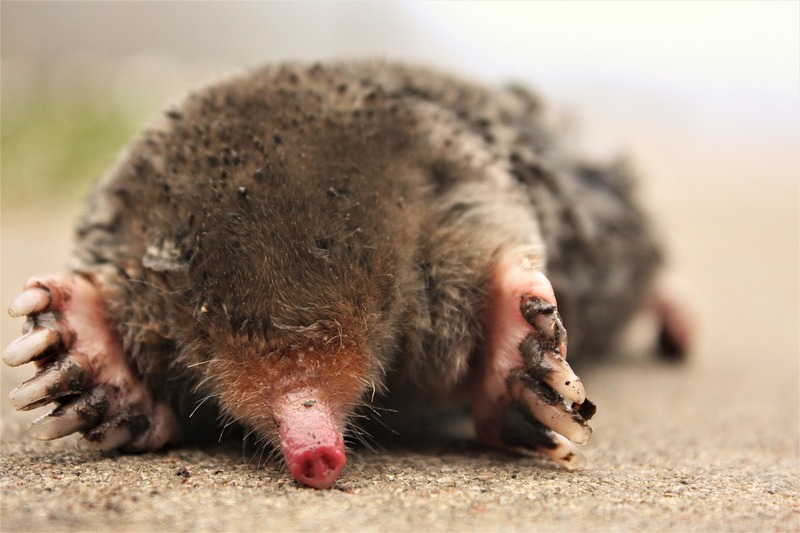 I took comfort in learning that many people have had suspicious moles removed with no ill consequences, but still – I don’t presume to know what God’s going to do. I’m not arrogant or deluded (or un-scarred) enough to think anything like “Oh, you’re an American Christian, everything will be fine”. Indeed, sometimes I over-apply my theology of suffering, expecting bad news at every turn because the Christian life is supposed to be hard and why do I deserve better than Ed down the street? So, in a weird way, I found a small, detached part of myself toying around with the idea of…whatever outcome. What if the end of my earthly road was not forty years along, as we millennials so easily assume, but only one? No doubt about it – there was at least some appeal in just casting off all my worries and going home. These things are too wonderful for me to know. But there were also more things I want to accomplish before God. It felt too soon. Of course, it’s way too soon for a lot of others, too…. And, of course, all of this wound its way up to a critical mass of overthinking until I finally just had to do what I always do: trust God. I went and got a shave. My doctor deadened the area, produced a sharp exacto-ish knife and started carving up the self-important little spot like a Thanksgiving roast. Blood everywhere, it was awesome. When I looked later, there were three brown dots in the wound – the termini of the now-cauterized blood vessels. Cool. In early June, the results came back. Two words that some people long with indescribable anguish to hear. I pray they do. Apparently the spot is a “congenital nevus”, whatever in tarnation that is. Dermatological false alarm. I paid up, hopped on a plane, and hopefully God will turn my two weeks in the Czech Republic into a harvest. It would seem there’s more to do. May I do it well. For we never know how much road we have left. If you enjoyed this article or know someone it would bless, please feel free to share it on social media. Thanks so much! This entry was posted in Reward and tagged cancer, Czech Republic, future. Bookmark the permalink. Aren’t you glad that is was just “a whatever it was” that ended up not being something too serious for you to worry over lol. It seems to me that God has a lot of things He wants you to do Brandon. I’m glad you got a good result. Have fun in the Czech Republic. Oh, I was back after two weeks. 🙂 But I appreciate the kind words. Great wisdom shared by this experience. When we exhaust ourselves with worry we accomplish nothing but when we give it to God in prayer there is peace. Thanks for sharing. Great post, Brandon! Glad you’re okay. All Glory to God brother. He is faithful. Hope you’re having a great time in Czech R.
Oh, I’ve been back for a while. 🙂 But thanks. Waiting for medical results is always challenging and can be faith-building. I’m glad you got a clean bill of health. J. Thanks for swinging by, S.
Our days are not promised, but our days are perfectly ordered by God. It’s a good thing to make peace with His timing, with our potential death, but that can be scary too. There’s a real paradox between dreaming of heaven, longing to be with Him,praying “come quickly Lord Jesus”……and yet please delay just a bit longer because I’m enjoying life and there are some more things I’d still like to do for you…. By God’s grace, I will not. Glad it all turned out well. God is good! Well, glad all ended well, but what a great lesson you made from it. I am pretty sure sometimes He wants us to do just that…reach for it. Dodge that bullet! You’re worth it! My daughter (your age) is a melanoma survivor. Wow. How long was her battle? It’s probably been over 5 years now, (she’s 35) and they got it the first time, but has to have frequent checks and moles removed for precancerous cells, etc. She worked on the Mercy Ship in Africa for a year and was not good about sunscreen…..ARUGHHH!!! Given my undertaking serious backpacking in the next few years, I’ll be sure to be slapping on the screen every two hours. And a wide brimmed hat!! AND don’t forget the bug spray–ticks are out at 40 degrees and do more harm than just itching, (nurse here). Seriously!! Yeah, especially once my four-month hike comes up. Don’t want to come out of that with Lyme. This post teaches a powerful lesson. God is a great healer, but we have to do our own part, and you have taken a timely right step. Wishing you 3 John 2. I can relate to those feelings of wanting to cast off this flesh and see Jesus… But like you said if we are still here, it is for a reason and I pray that we fullfil that purpose well. Brandon, enjoyed reading the process that our Lord takes us through sometime. Been there, more than once. He becomes more precious every time. One day we will pass that last turnstile and be with Him. Blessings. Looking forward to that turnstile. I might leap over it like in the Matrix. Praise the Lord for the good report! And thank you for sharing what the Lord taught you through it. Many can relate to the principles. Praise the Lord for Reverend Winters swinging by my blog! Or, I dunno, what IS your title? I never have liked the title “reverend” although I was ordained in 2012. Pastor is a more biblical title, but Matthew is just fine. I’m just an average guy whom God chose to call not because of what I could do but what He wanted to do through me. Going through a similar situation with my mom and me. Good to know someone else feels the same thoughts and same overthinking. Thanks for this read. Glad you are well, Brandon! Thanks. I’ll pray for you and your mom today, Sarah. I loved this article. Lol because we all tend make a mountain out of a molehill or try to dismiss the mountain when we really need to see it for what it is to be effective in prayer. I did follow you because I would love to enjoy hearing more about your journey. Be blessed in the Czech! I’ve got a couple more Czech articles in the works.